Bounty campaign will be managed by btcltcdigger. BOUNTY CAMPAIGN : 300,000,000 GRAY to be divided according to the stakes accumulated amongst selected participants. Bounty campaign lasts until end of ICO, or until all tokens are sold out. 1) Every participant must sign up using the proper form. Submission of report without proper signup will result in no match within our counting application. 2) ICO reserves the right to adjust the reward amount, depending on number of applicants in each of the bounty campaigns. 4) Check the ETH address you're entering twice, any changes in later stages will be denied. 6) Stakes are calculated internally, but will be disclosed at the end. 5. Stakes will be allotted on the basis of the quality and audience of the video. The amount of stakes assigned is non negotiable. 1. The Blogs and Sites accepted to obtain the rewards are: Medium, blogger, WordPress, personal websites, third-party websites and any website that is strictly related to cryptocurrencies. 4. 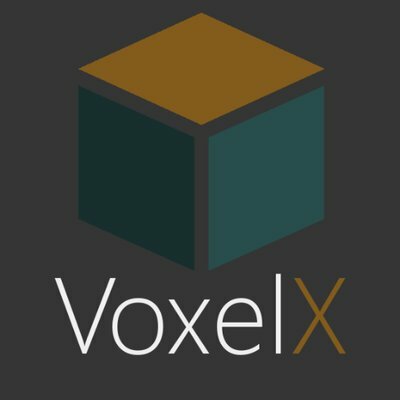 Plagiarism or use of spam or copied publications, unfavourable for VoxelX , will be considered as invalid submissions. 1. A translation must be of a high quality. Not done by using translating tools, google and another.